Bingham, Russell. "Kent Monkman". The Canadian Encyclopedia, 10 January 2019, Historica Canada. https://www.thecanadianencyclopedia.ca/en/article/kent-monkman. Accessed 21 April 2019. Kent Monkman, artist, filmmaker (born 13 November 1965 in St. Marys, ON). 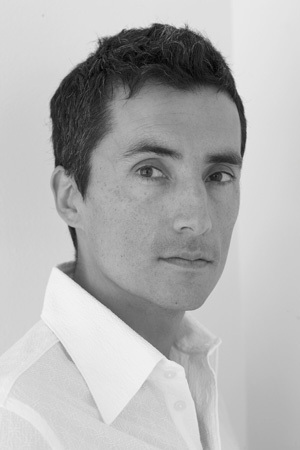 Kent Monkman is among the most skilled and successful artists of his generation. He works with traditional painting techniques, and with performance, film and installation methods. Monkman explores aspects of his Indigenous heritage and homosexuality, often addressing issues pertaining to both gay and Indigenous history. He assumes the traditional First Nations persona of the trickster through his alter ego, Miss Chief Eagle Testickle, to subvert the viewer’s expectations. His visually lush, often mural-sized paintings present inverted narratives of Indigenous/settler interactions. His work offers provocative, scathing critiques of Canada’s history and the way it has been recorded. He has received many awards and honours, including an Indspire Award, an Ontario Premier’s Award for Excellence in the Arts and an honorary doctorate from OCAD University. Kent Monkman was born in Ontario and raised in Manitoba, primarily in Winnipeg but also on various reserves in northern Manitoba. He is of Swampy Cree, English and Irish descent and is a member of the Fisher River Cree Nation in Manitoba. Monkman was drawn to making art at an early age, and at 17 began to study illustration through a commercial art program at Sheridan College in Brampton, Ontario. He subsequently attended various other Canadian and American institutions, including the Banff Centre for the Arts, the Sundance Institute in Los Angeles and the National Screen Institute in Winnipeg. He later worked as a set and costume designer for theatrical productions in Toronto before turning exclusively to making art. As a child growing up in Manitoba, Monkman was strongly affected by a sense of alienation from his First Nations cultural traditions, and by the general feelings of dispossession that are common among Indigenous peoples in Canadian urban environments. For his art, he found himself drawn to romantic, 19th-century landscape paintings by artists such as Edward Church, Thomas Cole and Albert Bierstadt. 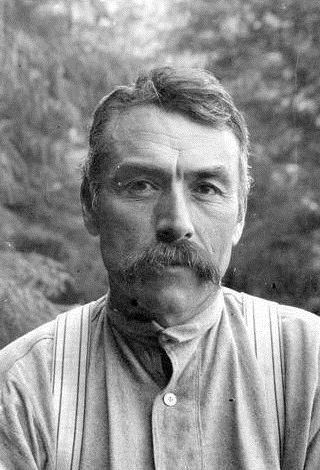 In particular, he was interested in the way that early Canadian artists such as Cornelius Krieghoff, Paul Kane and Peter Rindisbacher romanticized and idealized First Nations life and culture, while at the same time presenting the post-contact inhabitants of Canada as exotic specimens of a dwindling species (see also Canadian Painting in the 19th Century). A major early influence on Monkman was the American painter and journalist George Caitlin, who made a career of painting beautiful, often sympathetic portraits of Indigenous peoples in the United States. Caitlin saw the original inhabitants of North, Central and South America as a disappearing race in need of scientific study and as subjects for visual record. 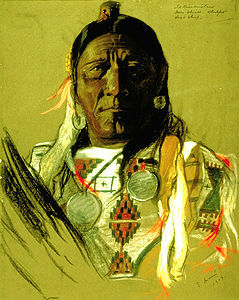 In addition to painting his subjects, Caitlin collected Indigenous artifacts for display in his “Indian Gallery” in Philadelphia. Caitlin would even bring Indigenous men and women to his exhibitions to stage dance performances, ostensibly to showcase what were presented as authentic demonstrations of their dying heritage. Monkman has continued to mine the conventions of 19th-century romantic art. Although he appropriates historical Canadian landscape and narrative imagery, his art is not an assimilation or development of that earlier tradition. Rather, he uses his recreations of earlier artworks as opportunities for ironic, often humorous representations of historical attitudes towards First Nations culture — attitudes that persist today. In his art, Monkman assumes the traditional First Nations persona of the trickster through his alter-ego — a “time-travelling, shape-shifting, gender-fluid alter-ego” named Miss Chief Eagle Testickle — to subvert the viewer’s expectations. His visually lush, often mural-sized paintings present oddly inverted narratives of Indigenous/settler interactions. Monkman is particularly interested in the depiction of homosexuality, which he sees as something that is accepted, even valued, in First Nations culture, but which he believes was suppressed by oppressive, Judeo-Christian beliefs. Monkman’s depictions of Indigenous and White males interacting in elaborate tableaus are designed to shock, then gently nudge the viewer into an awareness of the humorous irony of White expectations of cultural dominance. In his 2010 touring exhibition, The Triumph of Mischief, for example, Monkman created large-scale, faux historical paintings that depict amorous encounters between “cowboys and Indians” and feature his starring character, Miss Chief Eagle Testicle. Miss Chief assumes the role of ringmaster in an elaborate and flamboyant circus that lambasts conventional myths of Indigenous/settler cultural contact. The works in The Triumph of Mischief were also accompanied by film, photography and theatrical performance. Shame and Prejudice: A Story of Resilience is Monkman’s attempt as both a curator and artist to address the past 150 years of Canadian history before Confederation. It opened at the University of Toronto Art Centre on 26 January 2017. Referencing historically significant works of art, such as paintings by Robert Harris and Paul Kane, the exhibit features large-scale paintings by Monkman that depict (and critique) real or imagined events in Canada from the last 150 years and more. One of the exhibit’s centerpieces, The Daddies (2016), is a re-interpretation of Robert Harris’s famous Fathers of Confederation (1884). (See also Fathers of Confederation.) In Monkman’s version, the participants in the Charlottetown Conference are arranged in a semi-circle around Miss Chief Eagle Testickle, who is shown to be naked and in high heels. Shame and Prejudice: A Story of Resilience will tour Canada until 2020, with stops in Kingston, Charlottetown, Halifax, Montréal, Winnipeg and Vancouver. Kent Monkman’s works have been shown extensively throughout Canada, the US and Europe. He has been featured in numerous group exhibitions and in solo exhibitions at the Montreal Museum of Fine Arts, the Winnipeg Art Gallery, the Art Gallery of Hamilton, the McMichael Canadian Art Collection and the Royal Ontario Museum. His film and video works (often created with his longtime collaborator, Gisèle Gordon) have been presented at the 2007 and 2008 Berlinales in Berlin, and at the 2007 Toronto International Film Festival. Monkman’s work is included in numerous Canadian and international public collections, including those of the National Gallery of Canada, the Montreal Museum of Fine Arts, the Glenbow Museum and the Museum of Contemporary Canadian Art in Calgary, the MacKenzie Art Gallery in Regina, the Art Gallery of Ontario, the Art Gallery of Nova Scotia in Halifax, and the Smithsonian National Museum of the American Indian In Washington, D.C. (See also Indigenous Art; Contemporary Trends in Canadian Art). Monkman is represented by Pierre-Francois Ouellette Art Contemporain in Montreal and Toronto, Trepanier Baer in Calgary and Peters Projects in Santa Fe. Kent Monkman has achieved international recognition for his colourful and richly detailed combination of disparate genre conventions, and for his clever recasting of historical narratives. He conveys a scathing, satirical sense of humour in his paintings and installations to convey his message without preaching or scolding. The effectiveness of his method is evident in his wide acceptance.